Her philistine parents consider her “a jumped-up little germ” and “a good case for population control”. To her monstrous headmistress Miss Trunchbull she’s “a maggot” like all children. But a brave, book-loving, five-year old genius called Matilda Wormwood has been winning the hearts and minds of musical theatre audiences in London, New York and beyond, not to mention rave reviews and umpteen awards. 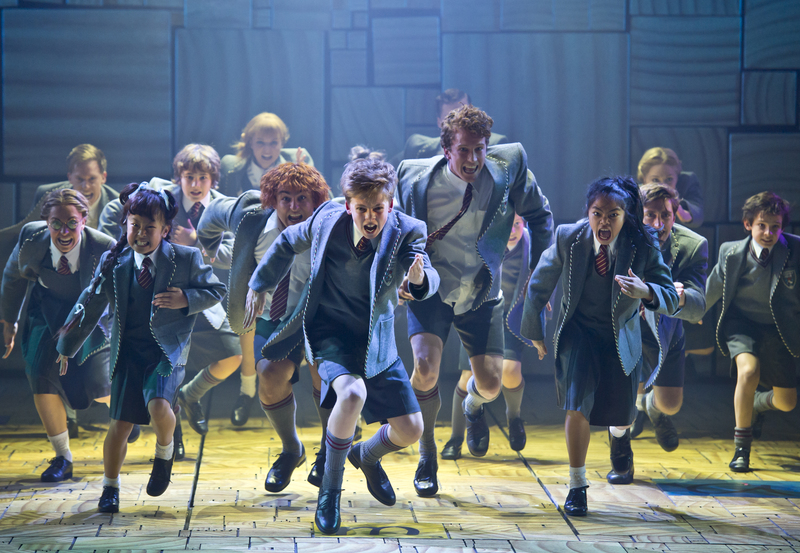 Based on Roald Dahl’s book, the hotly anticipated Royal Shakespeare Company production of Matilda The Musical, which premiered in 2010, has finally arrived in Sydney, triumphantly weaving such a powerful spell it has us rejoicing with its “revolting children”. 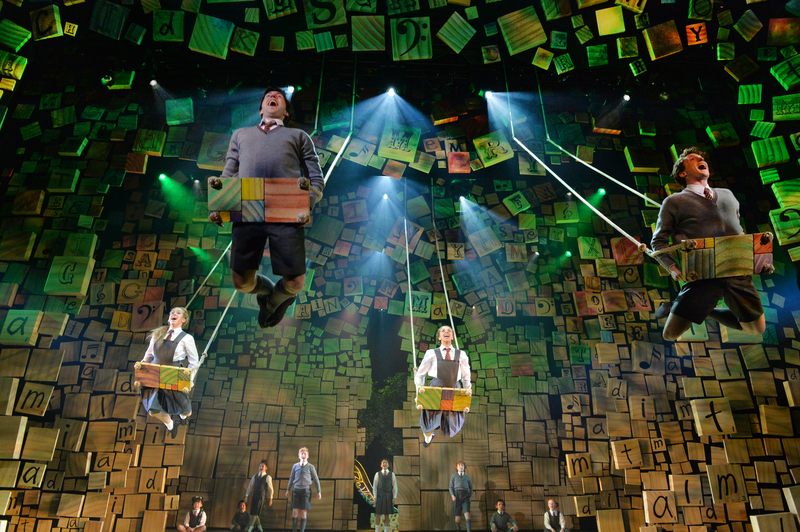 Written by Dennis Kelly (book) and Tim Minchin (music and lyrics), Matilda is one of the most thrilling new musicals of recent years: a show that isn’t afraid to be dark, sophisticated or smart, while at the same time pulsing with a gloriously funny streak of child-like, anarchic naughtiness. There is a perfect synthesis between Kelly’s book and Minchin’s lyrics, both brilliant, which share a similar cheeky irreverence and wickedly clever wit but which also touch the heart without becoming sentimental. The opening number, Miracle, instantly illustrates how wonderfully well Kelly and Minchin have been able to work together, setting the show up perfectly. Not only do we have Dahl’s tart observation about how most parents think their own children are little angels but a flashback to Matilda’s birth and a quick summation of her less than rosy situation. Interwoven through one song, it’s a very clever opening. Celebrating the joy and solace of books as well as the power of words and the imagination, Kelly has added a new narrative strand to the show in which Matilda tells a story about an escapologist and an acrobat. This beautifully staged tale (which uses dolls and shadow puppetry as well as actors) proves magically prophetic, filling out Miss Honey’s story and revealing Matilda’s yearning for loving parents without spelling it out. Minchin’s charmingly offbeat, catchy songs are refreshingly different to so many of the pop scores we hear in contemporary musical theatre. Highlights include the bittersweet “When I Grow” in which the children sail out over the audience on swings, the uplifting, bolshie “Revolting Children” and the moving ballad “My House”, exquisitely sung by Elise McCann. 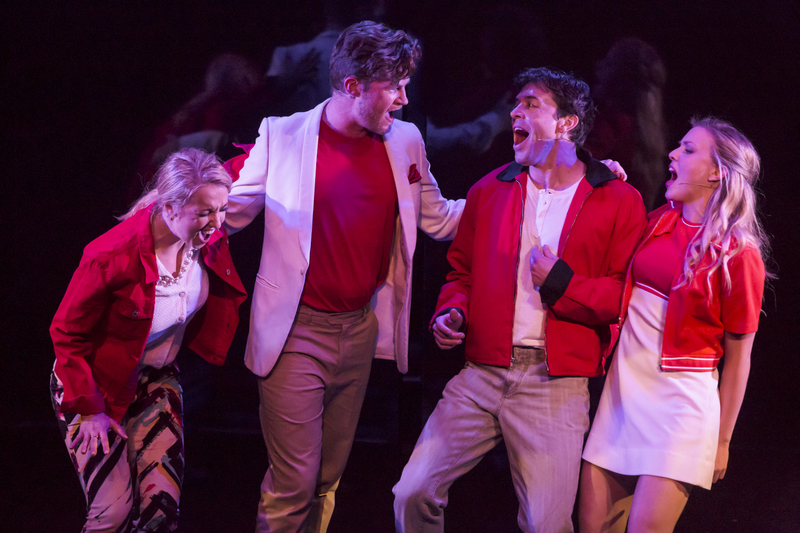 Matthew Warchus’s superlative production (staged here by associate director Nik Ashton) is a total delight. Rob Howell’s ingenious design integrates alphabet tiles and building blocks throughout the set. He has a wonderful way with colour, contrasting the garishly bright home and costumes of the Wormwoods with the forbidding grey of the school, while the drag costume he gives Miss Trunchbull with hunched shoulders and pendulous bosom is both terrifying and a hoot. Peter Darling’s energetic choreography, which draws on kickboxing and karate, has the spot-on feel of kids stomping in the playground. His routine for School Song – in which two school boys (played here by adults) leap around in fleet-footed fashion up and down the school gate as alphabet blocks are pushed into place through the metal grille – is breathtaking. The kids powering downstage during “Revolting Children” is exhilarating. 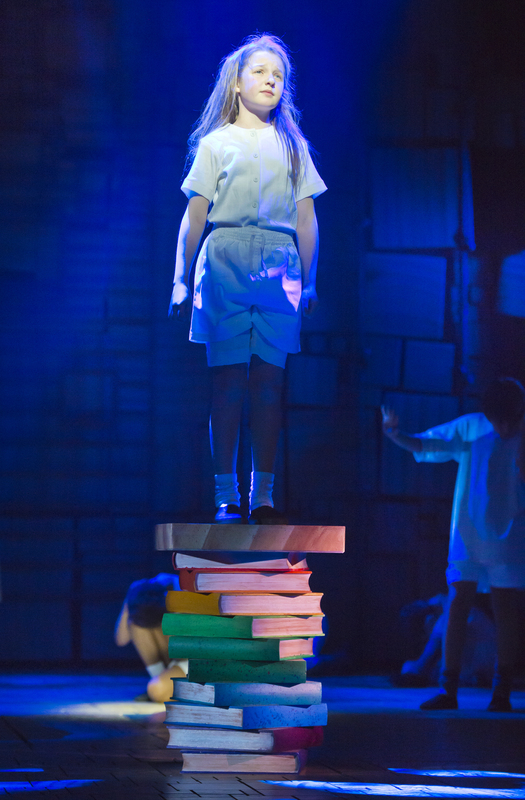 The show makes huge demands on its child actors, particularly the young girl playing Matilda. Bella Thomas (aged 11) who starred on opening night (in a role she shares with Molly Barwick, Sasha Rose and Georgia Taplin) is extraordinary, giving Matilda a touchingly solemn yet feisty, determined demeanour. Her singing voice, meanwhile, is strong, true and clear. But all the children are great, as are the adult cast. James Millar is sensational as the dreaded Miss Trunchbull, deploying an alarming bosom and killer comic timing to perfection. He marries an almost psychopathic stillness with sudden, throwaway jauntiness in a way that is both hilarious and frightening. Elisa McCann is radiant as Matilda’s kind, put-upon teacher Miss Honey, Daniel Frederiksen and Marika Aubrey are very funny as Matilda’s appalling parents and Cle Morgan exudes oodles of exuberant warmth as the librarian Mrs Phelps. Appealing to both adults and children, Matilda is a gem of a show with a wonderful heart and message about standing up to bullies and fighting for what is right. It’s also a love letter to joy of words. Pure magic. Noel and Gertie is a delicious, frothy confection of a show that has the sparkle of fine bubbly and a similarly intoxicating effect. It was devised in 1982 by Sheridan Morley who used the words and music of Noel Coward to tell the story of Coward’s legendary, tempestuous friendship with actor Gertrude Lawrence – his sometime muse for whom he wrote Private Lives. The show doesn’t break any ground dramatically. Morley tells their story chronologically using a montage of songs and extracts from Coward’s plays, diaries and letters. But when performed as well as it is here by James Millar and Lucy Maunder, it’s a delight. 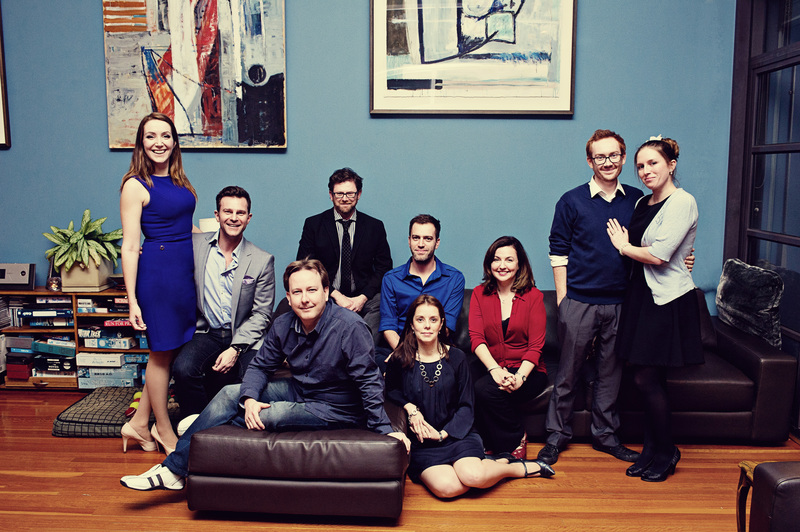 The production, deftly directed by Nancye Hayes, has an elegant simplicity. 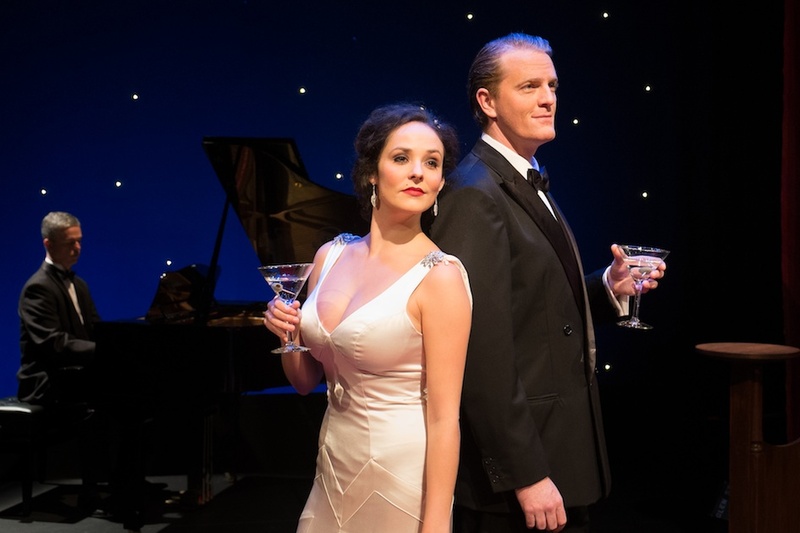 Graham Maclean has designed a simple, Art Deco-inspired set and a gorgeous, slinky, white satin, Molyneux-like gown for Maunder, while Millar wears black tie. Millar is cut out to play Coward. He looks the part and tosses off Coward’s witticisms effortlessly in a precise, clipped, English accent as if born to it, bringing the house down with his rendition of Don’t Put Your Daughter on the Stage, Mrs Worthington. Maunder also gives a lovely performance. Like Millar she is attuned to the sophistication and rhythms of Coward’s writing and sings more beautifully than Lawrence in numbers including Sail Away and Parisian Pierrot. Together, they have a scintillating chemistry and capture the mischievous, bantering relationship between the two stars. It’s not easy to perform Coward – and even harder when you’re performing extracts out of context. But the scenes from plays including Private Lives and Blithe Spirit work a treat, while the one from Still Life (which became the film Brief Encounter) is touching. There is still a little more emotional depth and nuance to be found but this will doubtless develop as the show settles in. Musical director Vincent Colagiuri provides sensitive accompaniment on a grand piano sitting unobtrusively at the back of the stage. Morley tells us almost nothing about Coward’s private life. There is one passing reference to Graham Payn performing in Tonight at 8.30pm but no mention of the fact that he was Coward’s partner for 30 years. Nor does Morley include the more colourful incidents from Lawrence’s. Watching it you feel you’d like to know more about them. Nonetheless, in the hands of Millar and Maunder, Noel and Gertie is a stylish, delightful entertainment. 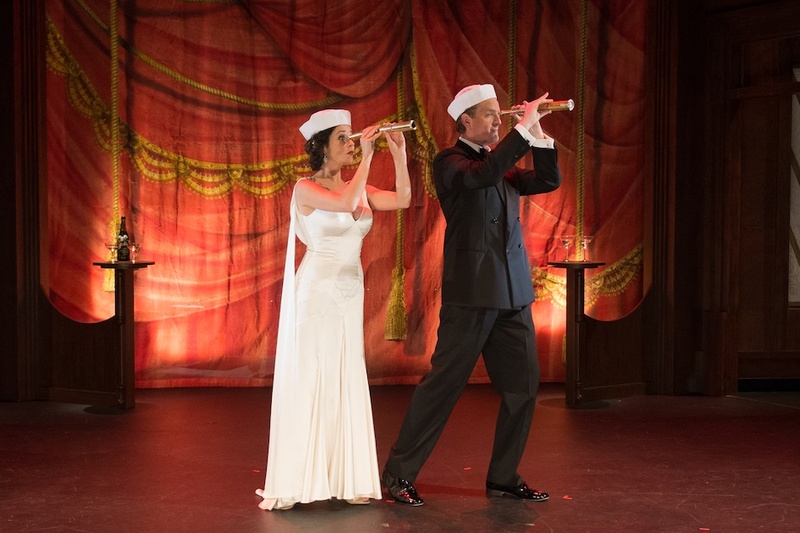 Noel and Gertie plays at Glen Street Theatre until June I then tours nationally to the Joan Sutherland Performing Arts Centre, Penrith, June 5 – 8; Riverside Theatres, Parramatta, June 11 – 15; Frankston Arts Centre, June 20; Whitehorse Centre, Nunawading, June 21 – 22; The Concourse, Chatswood, June 26 – 29; The Q, Queanbeyan Performing Arts Centre, July 2 – 7; Dubbo Regional Theatre, July 10; Orange Civic Theatre, July 12 – 13; Laycock Street Theatre, Gosford, July 16 – 18; Manning Entertainment Centre, Taree, July 20; Adelaide Festival Centre, July 23 – 27. An edited version of this review appeared in the Sunday Telegraph on May 16.